Legend has it that Ngoc Tri was once hit by drought. Twelve wells in the village went dry, except one in Dia hamlet. Men from Duong and Cho hamlets flocked to the well to get water. But the men in Dia hamlet prevented them from doing so for fear that the water would soon dry up. The two sides battled, pulling buckets and shoulder poles while sitting down for fear that the water might spill. When the drought ended, the elders thought of playing tug of war at the local temple during the village’s festival to pray for a year of favorable weather. 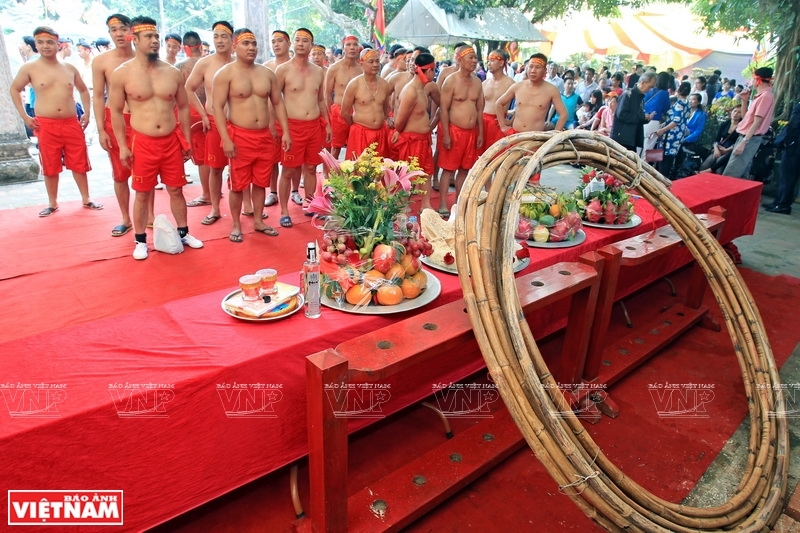 An offering ceremony is held at Tran Vu temple before the players start the competition. 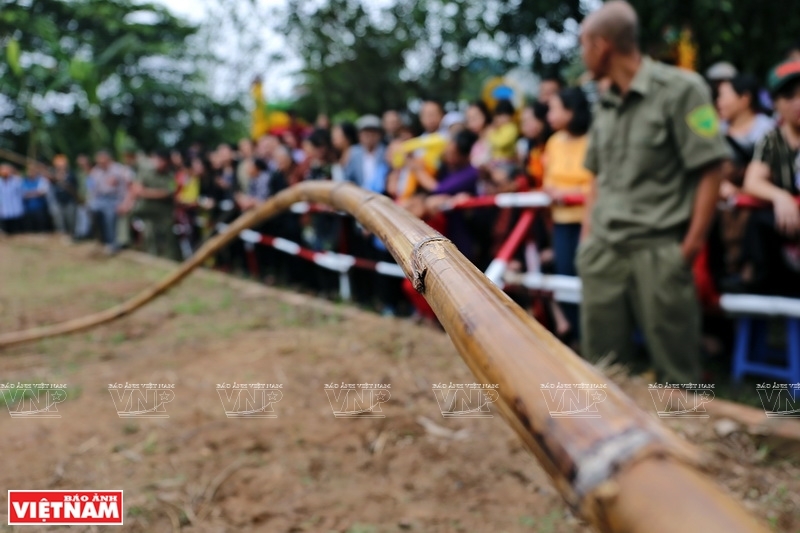 The rattan rope used at the game is 40m long. Taking the rattan rope to the playing field. The game starts after three beats of a drum. Trying their best along within the cheers of villagers. Trying their best to defeat the opponents. 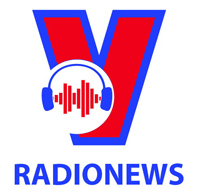 The competing teams are selected before the festival. People from families that have had at least five generations living in the village are eligible to play. Ngoc Tri village has three hamlets: Duong, Dia and Cho. 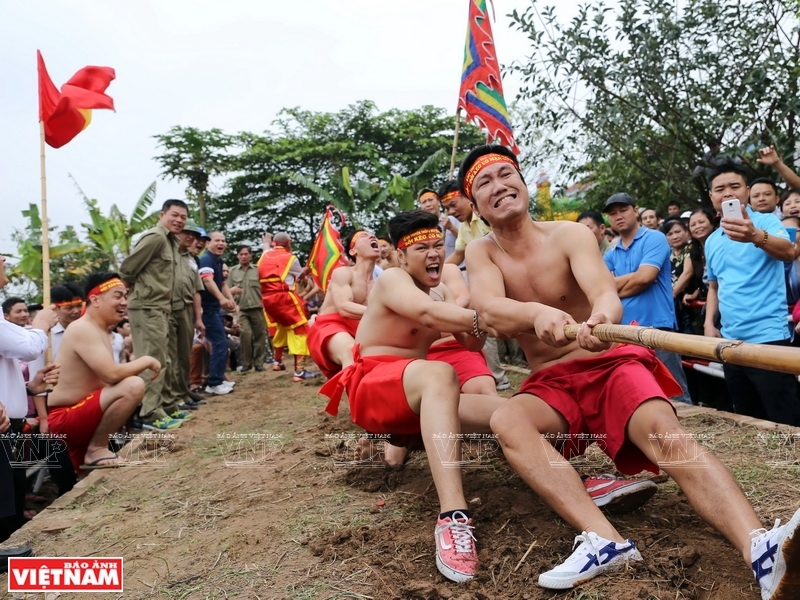 Each hamlet sends its team to compete and also to give offerings to local gods at Tran Vu temple before entering the competition. Each team has up to 24 men and a captain. 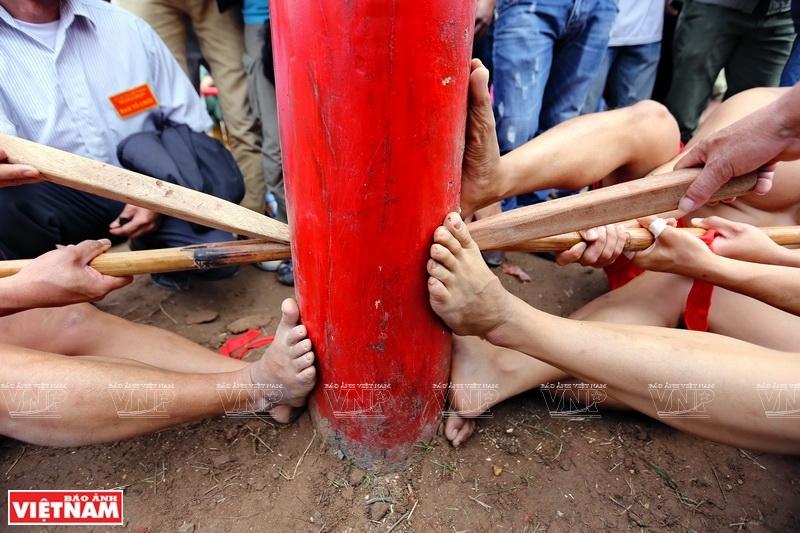 The two teams pull a rattan rope which is put through the hole of a wooden pole set firmly in the ground. The game is for fun and the competitors do not concern themselves much about the final results. Both winners and losers are happy and have a feast after the game. 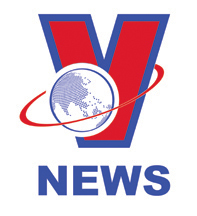 On December 2, 2015, the UNESCO’s the Intergovernmental Committee for the Safeguarding of Intangible Cultural Heritage inscribed the tugging rituals and games of Vietnam, Cambodia, the Philippines and the Republic of Korea on the Representative List of the Intangible Cultural Heritage of Humanity. The game is interesting in that while the players might be from any hamlets in the village, but they all want the team from Duong hamlet, where people make a living by growing crops, to win. If this team wins, it is believed that the whole village will enjoy a year of prosperity and happiness. 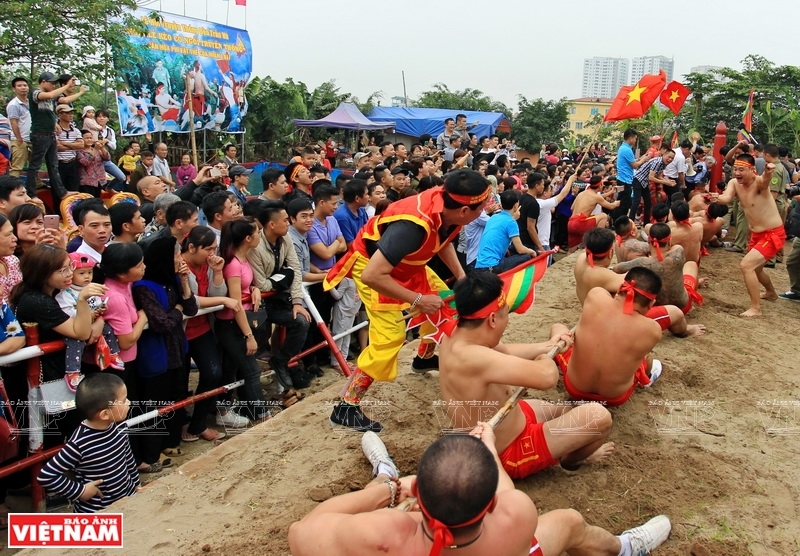 Sit down tug of war has been played for generations in Ngoc Tri, Thach Ban commune, Long Bien district. The folk game, like other traditional customs and practices, not only promotes the local culture but helps build unity in the community.